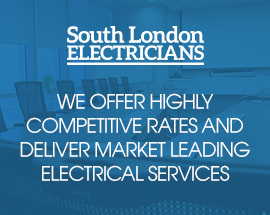 South London Electricians was established in 1990, so you benefit from 28 years of experience. Whatever you electrical fault, we will have undoubtedly have seen it and repaired it somewhere on our patch. Many emergency electricians in Barnes and elsewhere in London know that you have no choice but to call them out, and charge premium rates (usually £95 per hour and upwards). We prefer not to sting you for emergency work and charge our normal rate of just £65 per hour. It isn’t because we are less competent; it isn’t that we send out inexperienced electricians – we just don’t see why you should pay through the nose because you have an electrical fault. 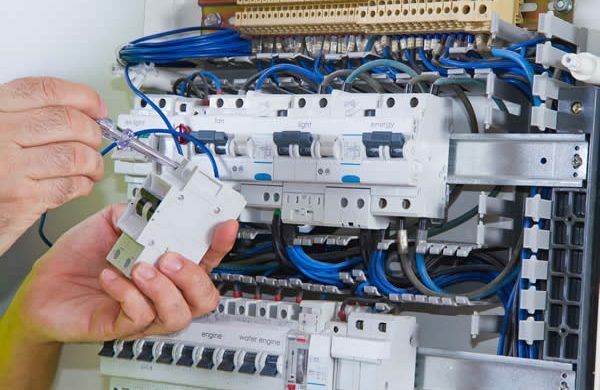 Our team of emergency electricians are fully qualified, time-served and have been installing domestic and commercial electrics north and south of the river for many years. Take a look at our Checkatrade reviews, it clearly shows how our customers are pleased with the value for money, reliability, efficiency and that we don’t leave you with a mess to clear up afterwards. Our experienced Barnes emergency electricians are available to respond to your call at any time of day and night. Each one of the team is equipped with the latest test equipment. This enables them to pinpoint most developing electrical problems quickly. You benefit from a fast repair at a lower cost as we will be in and out faster than many others. We have both domestic and commercial emergency electricians available in the SW13 area and can therefore deal with any emergency electrical problem rapidly – consumer units, 3-phase supplies, lighting issues, faulty wiring etc. Don’t hesitate to contact us if your business has lost power, your hotel kitchen extractor is ‘on the blink’ or if there is danger to the general public in your library, hospital, school etc. Help yourself to avoid business downtime or avert a possible fire in your HMO, public building or home. If you ignore them, things can quickly take a turn for the worse – an electrical fault could become an electrical emergency. Many electrical emergencies can cause fires which can become rapidly fatal. Signs and symptoms to look out for include sparks and crackes or bangs when flipping a switch or unplugging an appliance; buzzing noises in fittings; lights flickering on a long-term basis; overheating fittings and appliances; pungent smells from fittings or wiring and of course circuit breakers tripping out repeatedly. Do not attempt a DIY repair, the cause of the fault is not necessarily where you observe it. If you carry out a repair that is incorrect, it could make the problem worse. It could also leave you open to potential legal action and invalidate your buildings insurance. Electrical fault repair is best left to a Barnes (SW13) emergency electrician to sort out. When searching for a suitable emergency electrician, speed is of the essence. Many national electrical companies advertise as being from your area. They are not. Your call will go to a call centre, where you will need to describe your electrical fault. That information will then be passed on to a more local electrician, somewhere in London. They will then have to ring you, go through the details you have already given to a receptionist, which wastes time. The electrician may be somewhere in north London and will take a while to get over to you in Barnes.